This Fundher brief is divided into 4 sections. Section 1 looks at the organizational profiles of survey respondents: their scope, size, priorities and other core characteristics. The second section presents the funding landscape for these organizations, exploring some of the existing challenges for accessing funds and advances that have been made in recent years. Section 3 shares the self-analysis done by participants in the research on the state of their organizing, in particular related to fundraising, introducing interesting experiences in collaborative resource mobilization. Finally, the section entitled "What's next" summarizes implications of all the above for women's rights organizations and donors. 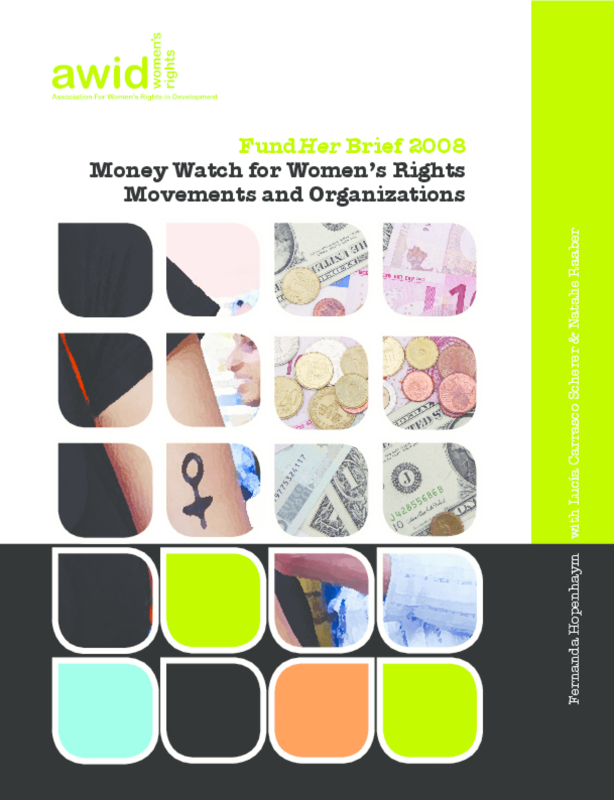 At the end of the document there are 5 thematic overviews of important funding trends and opportunities for organizations working on those issues. Copyright 2008 Association for Women's Rights in Development (AWID).